Broadly speaking, us humans find it rather difficult to join up two concepts: How we live, and how we think we should live. Especially when things go against us thanks to the meddling of perfidious foreigners. 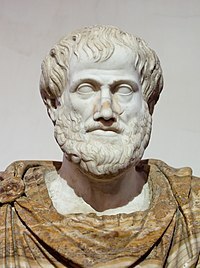 Luckily Aristotle helped us out when he spoke about moral education. First, for dimwits, use the bluntest of sticks and carrots. Gradually move up the scale so that good habits become ingrained. And for the most gilded among us, we won’t even have to evaluate actions for their moral worth because Praxis – wisdom that allows the efficient and automatic implementation of morality to action – kicks in of its own accord. At least if I remember my university days correctly. But going back even further than my university days, to the world of 1989 when TV channels were few and global affairs were starting to loosen themselves from the magnetic fields of Cold War predictability, there was a TV programme that still provides me with my moral touchstone. In the ‘Groovy Fellers’, Roland Rivron played a martian who landed in contemporary Britain. Jools Holland decked him out in a natty pinstripe suit, and they drove around Britain in a gold Rolls Royce with its roof lowered. Staggeringly cool. Personal relationships – to have had a rewarding relationship, whether with a friend, a wife, a father, whatever. Doing a job – to have done something constructive within a society, whether as a postman, a prime minister, or a First Aid volunteer at sporting events. A special project – to have acted a part, painted a picture, played in a team, organised an event. Something special, something that was beyond the boundaries of normal life. Tick those off, and everything else is a bonus. I remember the alien turning to Holland and saying, ‘Yes, I’ll buy that.’ So will I, even after all these years.